Hall Dental Studio, a private dental laboratory, was established in 2006. 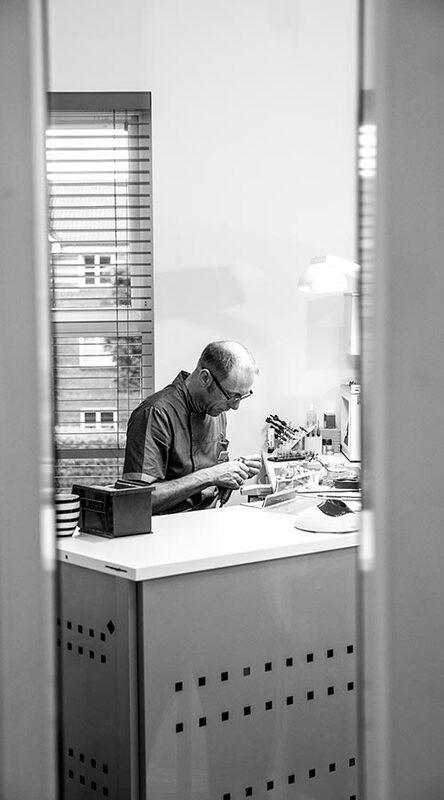 Wayne, our managing director, has a great enthusiasm for the art and precision involved in dental technology. This is undoubtedly reflected by his lengthy and successful professional career spanning over 25 years. During this time, he and our technical team have developed an extensive portfolio of skills and knowledge in full mouth rehabilitation, smile design principles, aesthetics and occlusion. Wayne also enjoys an excellent reputation among his peers and indeed throughout dental technology and is often advising other UK laboratories due to his keen knowledge and understanding of the latest innovations, materials and techniques currently being used. Wayne’s particular love is his Smile Design work, now incorporating digital workflows. His prominent involvement with some of the dental industry’s key players and associations builds on this. He has been a member of the British Academy of Cosmetic Dentistry for 8 years, where he was a speaker at the Annual Conference in 2014. He has been an Ivoclar Vivadent UK Opinion Leader for 5 years, also speaking at their ICDE 2015 Annual Conference. He runs and has assisted courses on IPS e.max Pressable Ceramics throughout the UK and Northern Ireland and has recently presented in lectures for The British Institute of Dental and Surgical Technologies. He is currently on working on exciting research and development projects with digital partners while bringing training and seminars to the North West through our new state of the art education facility with dental surgery. Through a keen awareness and constant education in the advancements of dental technology, Hall Dental Studio have the capability to solve some of the most challenging of cases, whether this be a complicated implant bridge or a full mouth rehabilitation. Our investment in some of the most dynamic CAD/CAM technology has further enhanced our abilities to produce outstanding results for patients over the years. Hall Dental Studio ensures that all referred cases are treated with the relevant planning, expertise and highest quality assurance expected from our dentists, promoting excellent communication and striving for excellence at every stage to create the truly beautiful and natural looking smile. Fill out your information below and we will be in touch as soon as possible!